Have you ever played battle royale games? 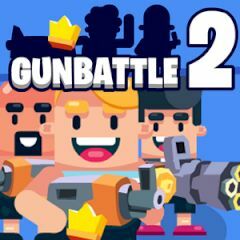 Gunbattle 2 delivers fun and unpredictable finale that can either impress or disappoint you. Just pick up guns and try to kill enemies, but play the way not to get killed. You must be the last guy on the field to win this. Enjoy the game and unlock new skins.